“I call this my mom mobile,” Schneller says referring to her grey mini van parked nearby. But before the school bell signals the end of the day, Schneller’s making a quick pit stop at what looks like any other construction site in the growing suburban community. With the snow-covered peak of Mount Rainier visible in the distance, men in hard hats and reflective vests are hard at work as an excavator digs through gravel. Turns out the Tacoma native, wife and mother of two is the newly named owner-operator of one of Chick-fil-A’s newest restaurants. That flurry of activity just over her shoulder is in preparation for her restaurant opening slated for mid-April. While it may not be all that visible to folks driving by, on this day, Schneller’s closer investigation reveals new LEED specifications taking shape. The Tacoma Chick-fil-A is one of the first of three restaurants to open in Washington state this spring, with locations north and west of Seattle in Lynnwood and Bellevue respectively. When Schneller first learned of the opportunity to own a Chick-fil-A at a global leadership summit in Tacoma last year, she wasn’t all that familiar with one of the South’s most beloved restaurants (not surprising given she was born and raised in Tacoma). So she set out to do her research. The company’s business approach of working with owner-operators to “Be in business for yourself but not by yourself” piqued her entrepreneurial interest. She submitted an application for consideration and before long she was off to Chick-fil-A’s home office in Atlanta, Georgia for an interview. It turned out to be a match. From there, “Everything just fell into place,” she says. Chick-fil-A Tacoma operator Lynnae Schneller trains for the grand opening. The path Schneller took to Chick-fil-A was fairly unconventional. She studied exercise fitness at Central Washington University with the aim of becoming a physical therapist. But upon graduation she began working for a national rental car chain. She worked her way up to the company’s corporate offices in downtown Seattle, which often meant a nearly two-hour daily commute. With the births of her two children, she found herself reevaluating her career, but she knew she didn’t want to leave the workforce. Much like Chick-fil-A founder Truett Cathy, she decided to go into business for herself using a secret family recipe passed down from her great grandma. Lynnae’s Gourmet Pickles original recipe, “Mrs. Pickles” made its debut at local farmer’s markets. But it didn’t take long before Schneller, along with her sister-in-law and business partner Aly Cullinane, captured the national spotlight with an appearance on ABC’s hit show Shark Tank. At the same time, Schneller received notice that she had another new business on her hands. Of the nearly 30,000 applicants requesting consideration for the roughly 90 restaurants that are made available each year, Chick-fil-A selected her. She accepted, handing the reins of her pickle business over to Cullinane. 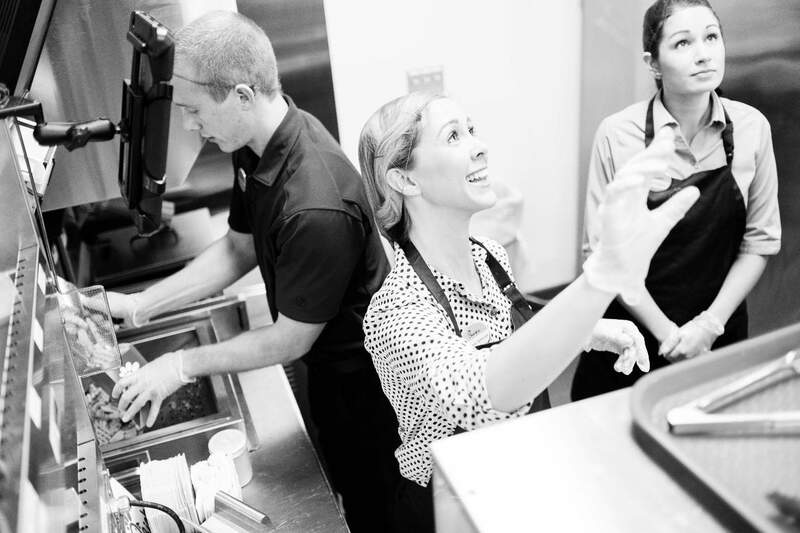 Schneller has spent many hours training to where she’s worked every position in the restaurant, from preparing Chick-fil-A’s famous Washington-grown Waffle Potato Fries to learning about the little things customers come to expect over time. Those nuances include responding to customer requests with a sincere “My pleasure,” and making lemonade that’s fresh squeezed and biscuits from scratch. One of the lesser-known facts Schneller is taking particular state pride in is the area growers and suppliers helping to build her business. When the doors of her restaurant open this spring, she’ll be serving hash browns and waffle fries made from potatoes grown along the Columbia River Basin. The apples in the fruit cup she’ll be offering are also sourced from a Washington orchard. As the sound of construction brings Schneller back to present day, she is still fresh off the announcement that she is the owner of Tacoma’s only Chick-fil-A. That reality is solidified by the more than 3,000 emails she’s received expressing interest in the new restaurant. It’s exciting and challenging all at the same time. Not only is Schneller introducing a new restaurant to the community, she’s introducing that restaurant to the 80 or so new employees she’ll be training in preparation for the grand opening. She says while the tasks are many, her focus is simple and clear. “We’re here to serve all customers delicious food in an atmosphere of genuine hospitality,” Schneller says. In preparation for the crowds opening day, she and her team will be ready to take and expedite orders using iPads. The first 100 guests in line will be treated to fun activities and games, as well as free chicken for a year. Schneller is also excited to be piloting a first-of-its-kind recycling program for foam cups. It all gets at the heart of what drives Schneller—her family and her community. She is proud to bring jobs to her hometown, along with a place for families to come together as part of the community.